We're fully expecting Apple to launch the iPhone 7 and iPhone 7 Plus this September, but the company might not be stopping there with an iPhone 7 Pro possibly being added to the mix too. 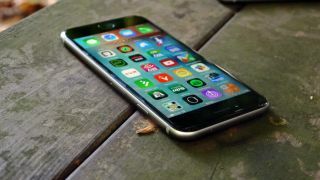 The iPhone 7 Pro has been rumored before, but it wasn't clear whether it would be a third distinct model or take the place of the iPhone 7 Plus. Now though, it's looking like Apple might unleash them all, at least if rumors off Weibo are to be believed. A tipster on the site, as spotted by PocketNow, has revealed Chinese pricing for all three models, claiming that a new model will sit at the top of the range, costing 7088 yuan for the base 32GB version, 7888 yuan for a 128GB phone and 8888 yuan for a 256GB one. Those prices don't quite line up with existing models and a direct conversation isn't likely to be accurate, but it's likely to equate to a price of around US$900 (£730, AU$1,400) for the smallest size and rise to roughly US$1,100 (£900, AU$1,700) for the top end size. The basic iPhone 7 will apparently start at 5288 yuan for the 32GB model, which is the same price as the 16GB iPhone 6S. The middle 64GB option costs the same as the 64GB version of the iPhone 6S and the top end model comes in at 7088 yuan, which is a little more than the 6888 yuan being charged in China for the largest storage size iPhone 6S, but then with the iPhone 7 you'll apparently be getting 256GB, while the iPhone 6S tops out at 128GB. It's a similar story with the iPhone 7 Plus, with the basic model costing the same for double the storage, but this time the middle option gives you 128GB rather than 64GB and again costs the same as the current middle model iPhone 6S Plus. Then at the top end you're paying slightly more, but getting 256GB of storage. In short not much is going to be changing with the pricing on the new models and you may even get more storage for your money, so expect to be able to pick up a standard iPhone 7 from around US$649 (£539, AU$1079), but you'll have to pay extra for the new iPhone 7 Pro model. That's if it exists and if these prices are accurate, which are two big ifs. We'd always hazard caution with Weibo rumors and the poster of this one even says that Apple only "may launch" an iPhone 7 Pro, so they don't sound very sure. If a Pro model does emerge we're not clear on exactly how it will differ from the iPhone 7 Plus. A dual-lens camera has been associated with it, but that's also been pegged for the Plus. Where it might differ is in having a Smart Connector, so accessories like keyboards can be attached to it, as on the iPad Pro, but for now that's all just rumor and speculation.